This is a round General Gasoline porcelain sign. This particular General Gasoline sign is green with white and black print. 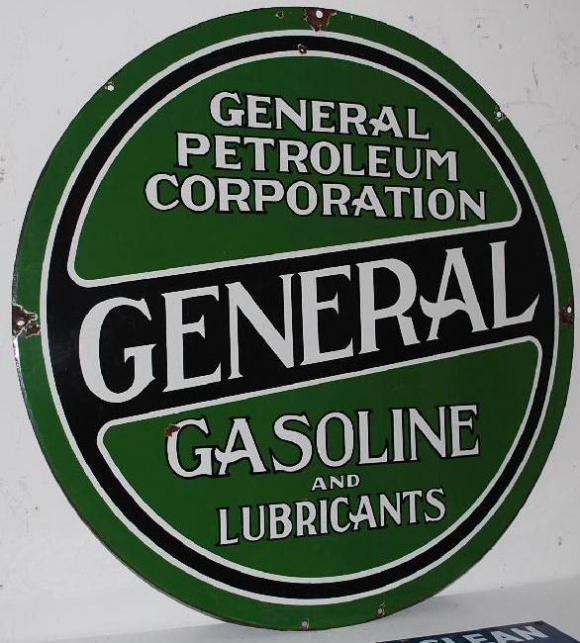 It reads, “General Petroleum Corporation, General Gasoline and Lubricants” and features a black border and banner across the center.